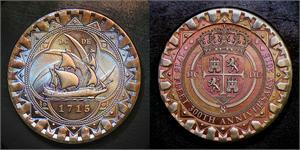 1715 Fleet 300th Anniversary brass cob, color-toned finish. 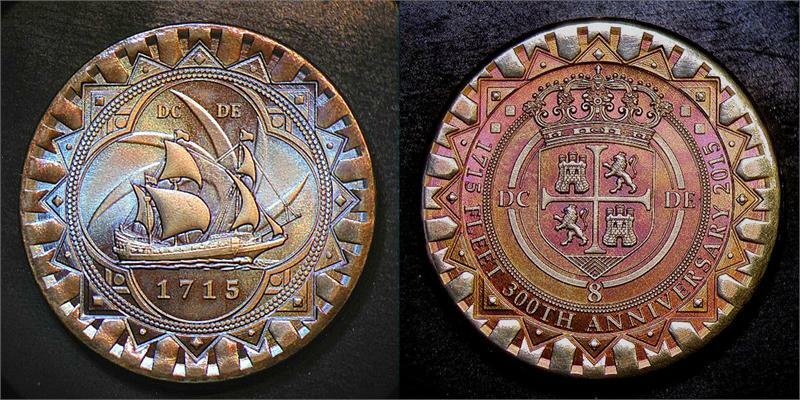 Die pair "G" (second 2015 issue with ship & hurricane symbol obverse). Struck on machine-made and burnished 34mm round brass blanks. NOTE: This offering is exclusive to www.dc-coin.com .